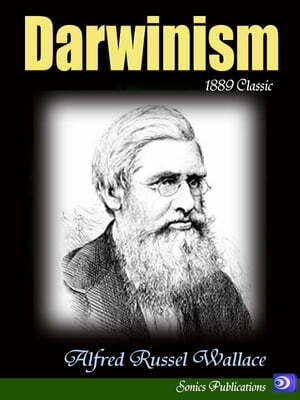 Collins Booksellers - Darwinism by Alfred Russel Wallace, 1230000107758. Buy this book online. This book by Alfred Russel Wallace treats the problem of the Origin of Species on the same general lines as were adopted by Darwin; but from the standpoint reached after nearly thirty years of discussion, with an abundance of new facts and the advocacy of many new or old theories. While not attempting to deal, even in outline, with the vast subject of evolution in general, an endeavor has been made to give such an account of the theory of Natural Selection as may enable any intelligent reader to obtain a clear conception of Darwin's work, and to understand something of the power and range of his great principle.